About one third of women in Azerbaijan have excess weight and suffer from obesity, an investigation into factors behind non-infectious diseases shows, the Center for Public Health and Reforms of the Health Ministry said. The investigation identified four main groups of non-communicable diseases: cardiovascular, oncologic, diabetes and chronic lung disease. The risk factors in these cases are smoking, unhealthy diet, and physical inactivity. Several studies have been carried out in this area since 2011. This year, studies are underway on two factors: obesity and high blood pressure. The undertaken studies have shown that excess weight and obesity as the major problems of Azerbaijanis and women are mostly at risk. Notwithstanding the fact that this problem affects both men and women, the studies show that this factor is common among women. The issue is connected with another great problem of the population that is lack of physical activity. Reports note that a sedentary lifestyle of most part of population is a great risk that can lead to cardiovascular disease and diabetes. Only four percent of women in Azerbaijan are engaged in sports, which is dreadfully a small number. The situation with men is slightly better with eight percent of them doing sports, however this is also a small figure. Obesity is one of the factors behind hypertension, which is common among the population. This is not a surprise, as every kilogram of extra weight means an increase in pressure of two mm. Hg. Azerbaijanis always prefer to eat well and being skinny is not in fashion here. However, there is a difference between modern world and old times. Earlier people were more active and needed more energy but today with the sedentary lifestyle and more fatty food, we cannot do anything but grow fat. There is a huge gap between being healthfully stout and overweight. This is not healthy, and not well looking. In many cases, this over sizing is connected with hormonal factor, which is also a problem itself. However, to resolve the problem, some first steps should be taken. The population does not pay proper attention to their nutrition, she stressed. The dietician noted that she has some teenager-patients, who are suffering from obesity at 15. Still the parents of the 15-years-old, 96 kg girl say their child is not so overweight, they think she needs to lose only 10 kg. “Obesity in young girls reduces their chances of becoming a mother. The hormonal problems begin. Obesity in young girls and boys affects their whole body. Their insulin rises, and the parents rather than to protect the child, said that they have diabetes in the family,” she highlighted. Azerbaijani women are very fond of sweets, and 80-90 percent of obesity in Azerbaijani women is associated with sweets and fatty home food, the dietician noted. “All this leads to hormonal changes, which in turn cause weight gain, so it's a vicious circle. This leads to a weight of 150 kg,” she added. Suleymanova also pointed out that women do not check their insulin during pregnancy. As a result, they gain not 10 kg, as normal women, but 20-40 kg overweight. In general, endocrinological problems arise due to obesity. To fight against this pressing problem, first you should pay attention to the children's menu and activities. Moreover, the dietician recommends us to reduce our sugar consumption. She doesn’t call us to stop eating sugar. The food should not become a narcotic. “I myself love sweet, but it does not mean that I advise this love to others. If you eat sweets every day, you would increase your consumption day by day. You need to cut little by little, eat your favorite amount of sugar only two times a week, but not every day, and then once a week,” Suleymanova stressed. She also recommends us to eat breakfast and lunch in an amount that provides us with enough energy for the whole day. “Some busy people do not eat breakfast, lunch, and then eat plenty at night. This leads to weight gaining. Eat on time, drink juices and eat fruits. Do not leave your stomach empty. In the afternoon, you can eat anything you want. However, it is necessary to drink liquids. Dinner is also necessary, but don’t eat so much and avoid greasy food,” the dietician explained. However, she noted that women with hormonal problems need to keep to a special diet. “It is important not to remain hungry for a long time. Do not eat pills and other medicines for weight loss. They have drugs,” she stressed. No doubt, it is hard to switch to healthy lifestyle and activities straight away, but the excess of weight is connected with many diseases. That might be a motivation for dietary change. Being overweight or obese may lead to 10 common cancers. Scientists estimate that extra weight could be a factor in more than 12,000 cases of cancer every year, a study published in Lancet medical journal said. 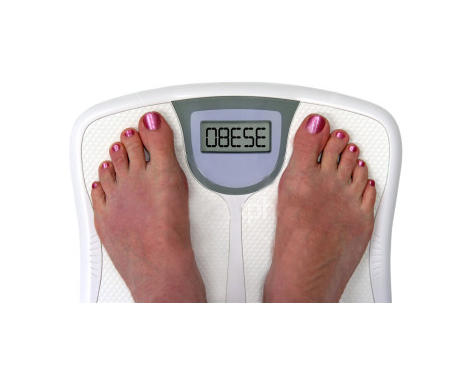 Obesity is also connected with serious health conditions such as diabetes, heart disease and stroke. All these reasons are quite enough to really lose weight this year.